You may have a cash bar where you pay for drinks as you go or a prepaid open bar option for you and your guests. Please select one options from below priced per person. Self catered charters are available for 3.5 hour charters only with an additional 30 minutes to decorate and load the yacht. Long Beach Party Yacht charter in an attractive 65′ yacht . 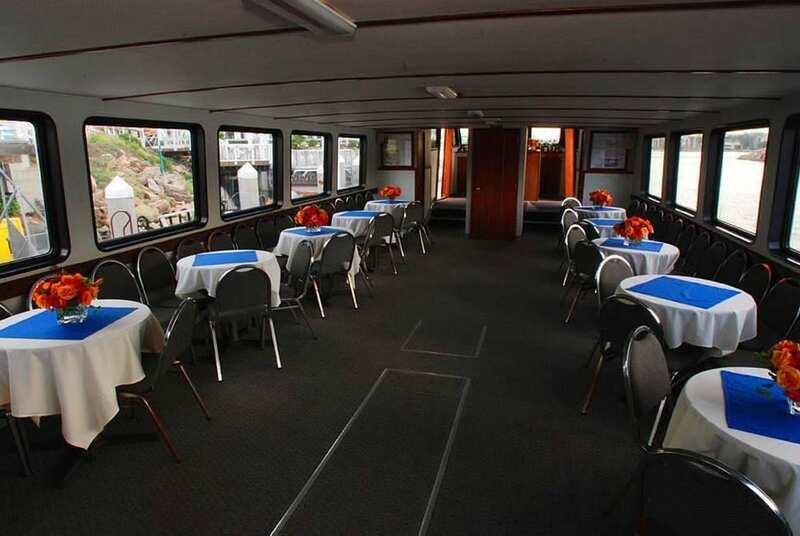 This lovely yacht can be ideal for corporate parties, private parties, or family get togethers. It features stadium seating and has great stability to support your pleasures floating atop the sea. The more than memorable design proves this would be a wonderful venue for any occasion. 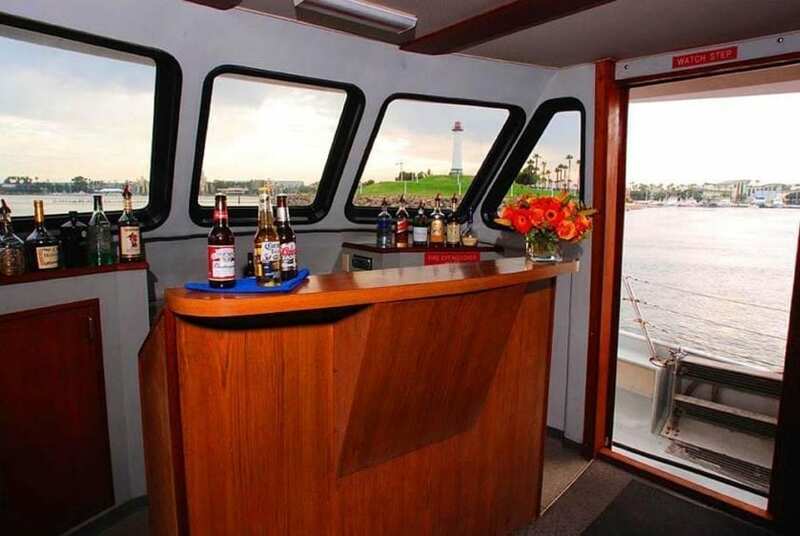 This Long Beach party yacht is available for a yacht charter in Long Beach, California. Enjoy your charter within the harbor or just outside the breakwater of the Long Beach. 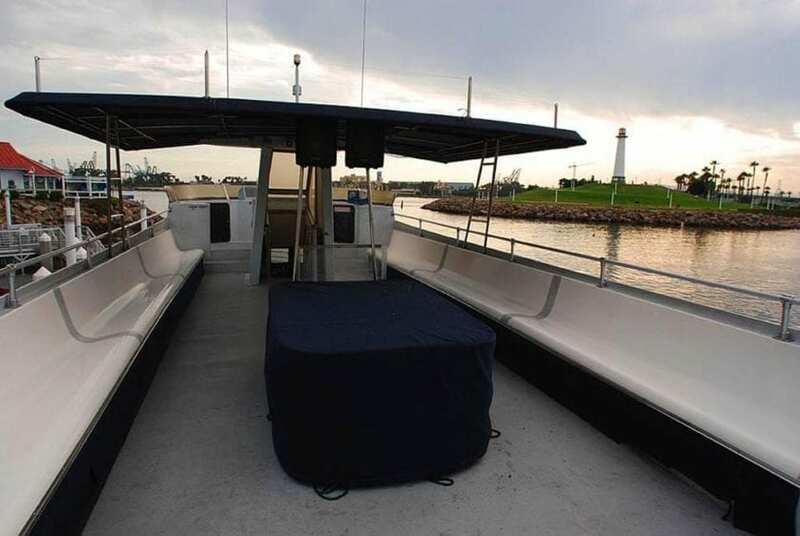 65′ Motor Yacht Up to 75 Guests | Catering is required on this vessel. Please select an option for food and beverage service priced per person. Parking is validated and guests are advised to arrive 30 minutes early for parking. Up to four guests may board the vessel 30 minutes to decorate. The cruise is for 2.5 – 3.5 hours with 30 minutes of setup time for your event. 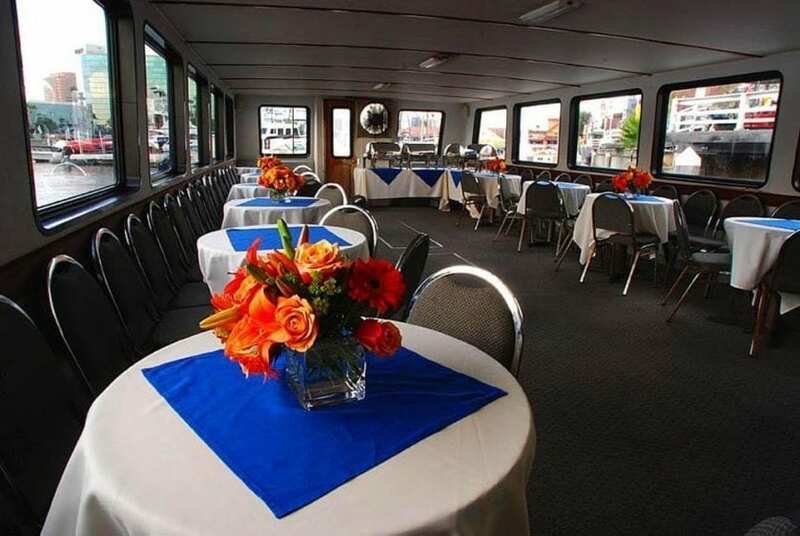 This vessel is perfect for private parties, memorials at sea and weddings. This beauty is available for a yacht charter in Long Beach, California. 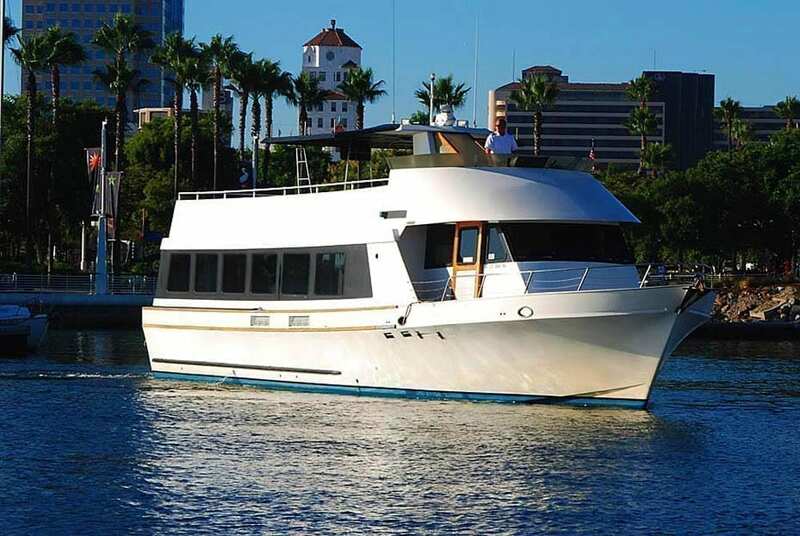 This Long Beach party yacht is perfect for a harbor or coastal cruise. 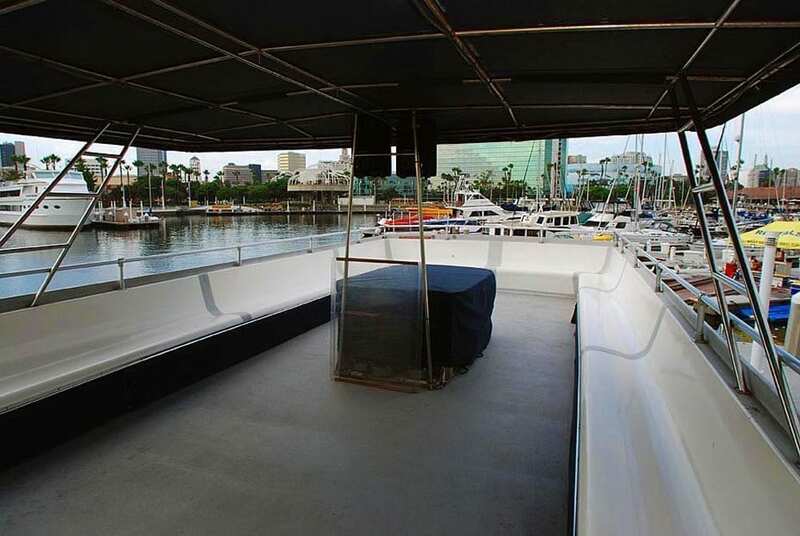 Enjoy the water on this luxury yacht within the harbor of Long Beach. Due to the great weather all year round, Long Beach is a great place to rent a yacht. First of all, yachting in Long Beach is a top thing to do anywhere and especially here. Because nothing beats a yacht charter in Long Beach. The unique climate allows for a year around boating season. It’s what makes Long Beach party yacht charters so enjoyable. Enjoy the crystal clear tropical ocean. The beautiful harbor and marina, beaches, bay, and lagoons. She probably offers one of the most stunning skylines which are awesome for even a short Long Beach yacht charter. Furthermore, let Luxury Liners provide your captained Long Beach luxury charter so you may experience your own private yacht charter in style while visiting Long Beach. To charter a yacht in Long Beach or for a luxury yacht simply choose among our collection of Long Beach yacht charters. Luxury Liners works hard to find you the best of the best, highest quality yacht rentals in the Long Beach area at the best prices. Take in the sites of Long Beach to experience the west coast in style. In conclusion, for a yacht charter Long Beach party yacht style, we have the yacht rentals for you. Price Includes: Captain, Crew, Yacht, Food, Soft Drinks, Coffee, Music and Fun! Your charter fee includes a cash cocktail bar and bartender with complimentary soft drinks and coffee. Available for private charter for clients to conduct a burial at sea for up to 60 passengers. Morning departures are required for calm wind and sea conditions. The charter fee includes the ship, captain and crew for a morning departure. The approximately one hour cruise will take you off the coast where you may conduct a ceremony and scatter the ashes. There are additional fees if bar service is requested or if food is to be brought aboard ship and for other departure times. We reserve the right to upgrade to larger vessel at our discretion. We suggest that you place the ashes in biodegradable paper (ie: tissue paper or paper bag) and place it in a basket. Weight the basket and cover it with flowers (we will provide approximately 10’ of line to attach to the handle). When the Captain stops the ship off the coast, you may then lower the weighted basket into the sea. The flowers will float to the surface as the weighted basket sinks and the paper bag will open and disperse the ashes into the sea. This method not only allows for a serene ceremony atmosphere, but also employs the use of only biodegradable items that are environmentally safe to be left at sea.  The client is responsible for compliance with all applicable government regulations and filings. All charter dates & departure times are subject of availability. To book your burial at sea on the vessel of your choice, please call our office.